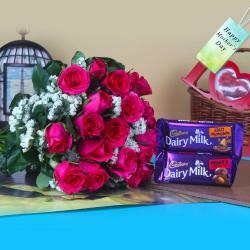 Product Consist : 20 Pink Roses Bouquet, Cadbury Dairy Milk Silk Chocolate (Weight : 60 gms) along with Cadbury Dairy Milk Fruit N Nut Chocolate (Weight : 35 gms). 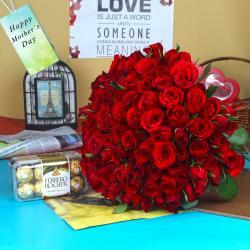 Giftacrossindia.com presents a wonderful gift option to delight your adorable Mom on her special event like Mother's Day. Moms are like buttons they hold everything together. She understands what a child does not say. The number twenty signifies sincerity and honesty. 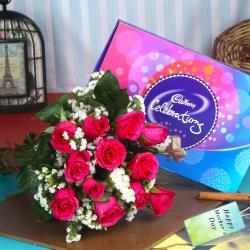 This bunch is a great choice of gift for your beloved Mom. Two bars of Exotic Dairy Milk chocolates are also included to treat the taste buds of your loved ones. 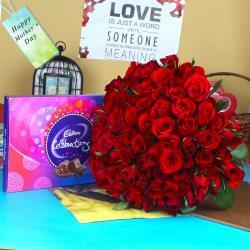 This is an ideal gift combination product of flowers and chocolates. Browse your favorite products it is very conveniently available for online shopping from anywhere in India with Same Day Delivery option. So go on and place your order now to show her how much she is important to you. 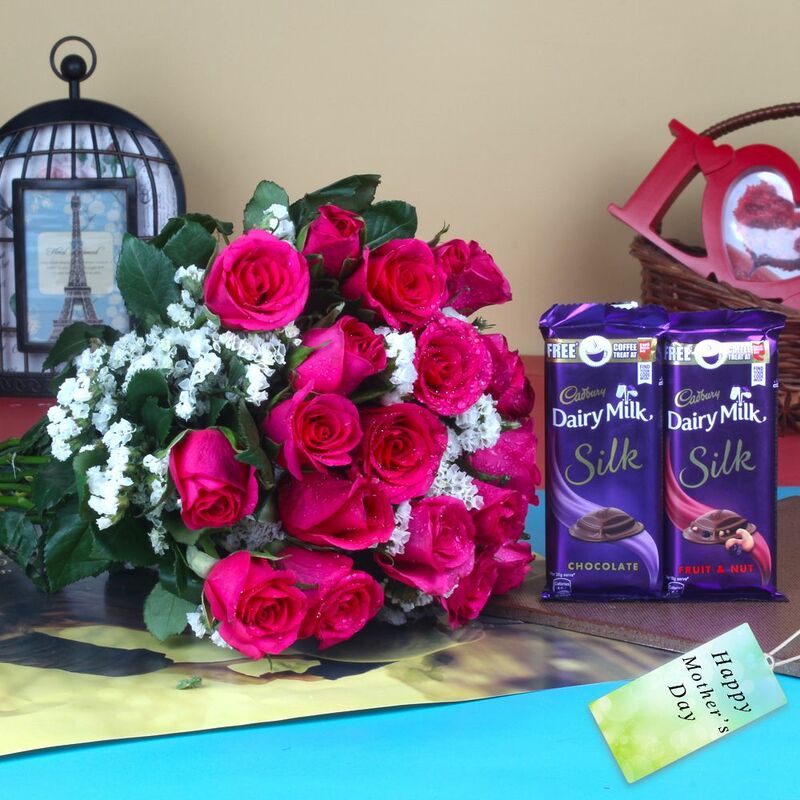 Product Includes : 20 Pink Roses Bouquet, Cadbury Dairy Milk Silk Chocolate (Weight : 60 gm) along with Cadbury Dairy Milk Fruit N Nut Chocolate (Weight : 35 gm).